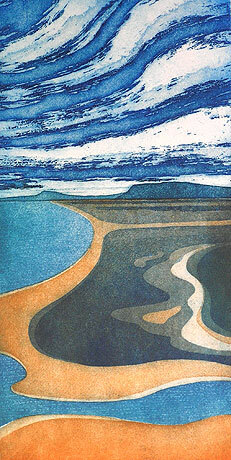 I am a landscape artist specialising in fine-art intaglio printmaking. 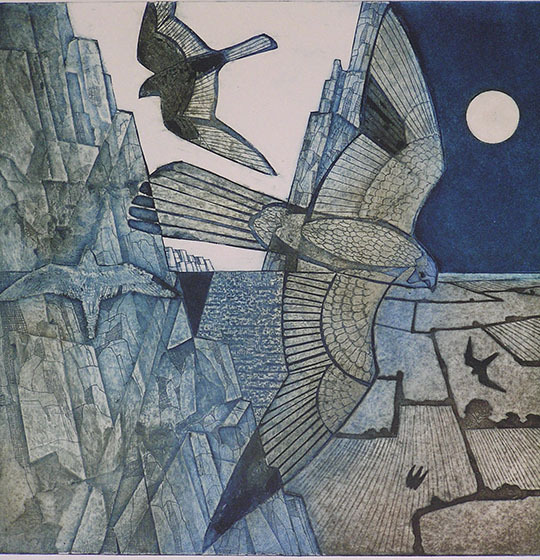 Most of my works are aquatint etchings from copper plates or collagraphs printed from constructed, highly textural collaged plates. 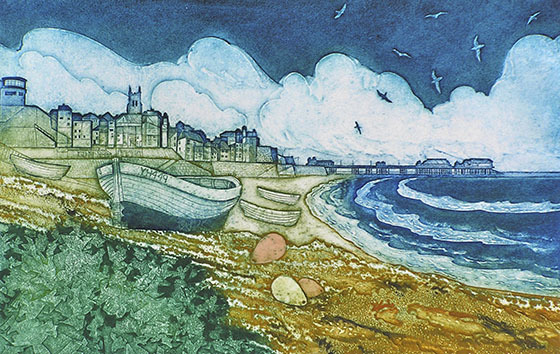 All of the work is conceived as print, realised onto the plates and hand-printed by the artist. Because plates wear, because a lot of what I do is experimental the edition sizes are very small; 20 or less for collagraphs to 50 maximum for some etchings. 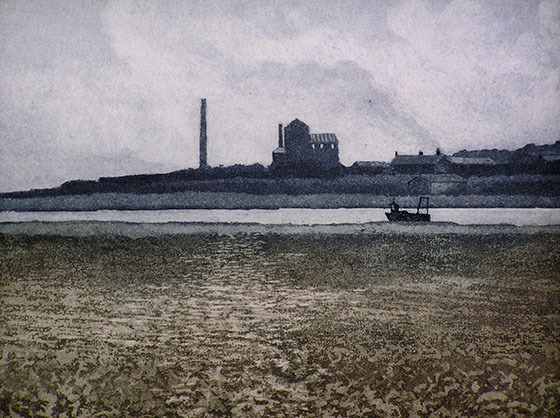 This is Original Print; not reproduction, not digital, not giclee. My imagery is drawn, literally, from direct study of landscape, the urban environment, the long life of humanity in our world. Then, in the studio I restate, redraw, refine, and try to abstract the essential, the timeless from the imagery. These images are then etched and engraved onto plates or built into a collage (or sometimes both) but then the work is still half-finished. Printing the plates on the double roller etching press is itself a very creative, experimental, painterly process. Inks and colour combinations may change; wiping can be heavy or light, “ghostly” un-inked plates or part plates may be employed. Plates may be re-etched or re-cut and assembled afresh. I have extensive qualifications in teaching (B.Ed., M.A.) 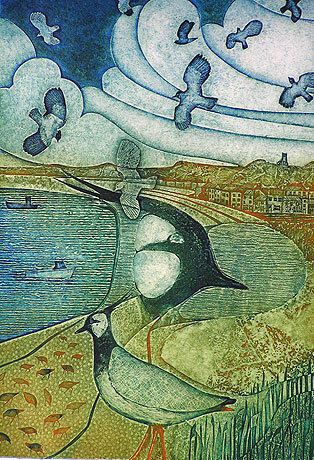 and many years working in adult and further education which I enjoy continuing through offering weekend and longer workshops in many printmaking. As well as my studio press I have a portable etching press and so can provide “out of centre” courses around East Anglia.